President and CEO of the USMCOC since 1993. He is responsible for operations in 16 regional offices in the United States and Mexico. In the private sector, Mr. Zapanta was an executive with ARCO for 18 years. He was responsible for negotiations with PEMEX on oil and gas matters and the copper mines owned by Anaconda, an acquisition of ARCO. In public service, Mr. Zapanta has held a number of presidential appointments including White House fellow in 1973-74, Senate-confirmed Assistant Secretary of the Interior for Management and Administration. and was a member of the Department of State′s Advisory Committee on International Trade, Technology and Development. He was appointed by U.S. Secretary of Defense Donald H. Rumsfield to serve as Chairman of the Reserve Forces Policy Board (RFPB) from 2002-2004. General Zapanta’s military record includes the award of the Silver Star, five Bronze Stars for Valor, the Purple Heart and thirty other awards during the Vietnam War. Mr. Zapanta was appointed by the Governor of the Commonwealth of Virginia to the rank of Major General. Currently he serves on the board of numerous organizations, including trustee Gerald R. Ford Foundation and Museum; Senior Fellow, Center for Western Hemisphere Defense Studies among others. Worked for then-Southwestern Bell Telephone Company for 16 years. In 1996, the people of Dallas and the 5th Congressional District sent Congressman Sessions to Washington, DC to represent them in the United States House of Representatives. In 2002, Congressman Sessions began representing the 32nd Congressional District, created from redistricting. 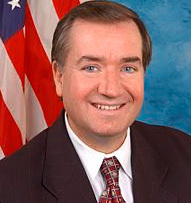 In 2016, the people of the 32nd Congressional District called him back to Congress for his eleventh term. Sen. Cornyn was first elected to the U.S. Senate in 2002, and is currently serving his third term after being reelected in 2008 and 2014. 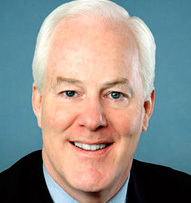 In addition to serving on the Senate Finance, Intelligence, and Judiciary Committees, Sen. Cornyn serves as the Majority Whip, the second-highest ranking position in the Senate Republican Conference. A San Antonio native, Sen. Cornyn has served the people of Texas for the last three decades, as a district judge, a member of the Texas Supreme Court and Texas Attorney General, before representing the Lone Star State in the U.S. Senate. 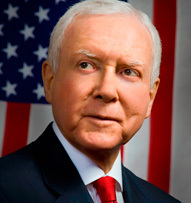 Now in his seventh term as Utah’s senator, Orrin Hatch is the most senior Republican in the Senate. Among his many initiatives are the Balanced Budget Amendment to the Constitution, the Strengthening Our Commitment to Legal Immigration and America’s Security Act, the Religious Freedom Restoration Act, the Americans with Disabilities Act, the Antiterrorism and Effective Death Penalty Act, and the Utah School Trust Lands Exchange Act. 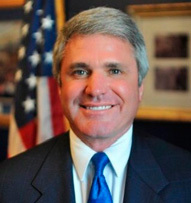 On 2013 Congressman McCaul became Chairman of the House Committee on Homeland Security. As Chairman, McCaul prioritizes the threat of international and domestic terrorism, cyber security, airport security and management of DHS. Congressman McCaul is also the Chairman of the U.S.-Mexico Inter-Parliamentary Group (I.P.G.) He also serves on the Committee on Foreign Affairs working to ensure our national security is strong. Congressman McCaul is co-founder and co-chair of the Congressional High Tech Caucus and the Cybersecurity Caucus. Prior to Congress, Michael McCaul served as Chief of Counter Terrorism and National Security in the U.S. Attorney’s office, and led the Joint Terrorism Task Force charged with detecting, deterring and preventing terrorist activity. McCaul also served as Texas Deputy Attorney General under current U.S. Senator John Cornyn, and served as a federal prosecutor in the Department of Justice’s Public Integrity Section in Washington. Serving his seventh term in the U.S. House of Representatives, Congressman Mike Conaway represents 29 counties in Texas’ 11th congressional district, including the cities of Midland, Odessa and San Angelo. 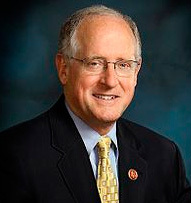 In the House, Congressman Conaway is the chairman of the House Committee on Agriculture and also serves on the House Armed Services Committee and the Permanent Select Committee on Intelligence. Served as a Texas State Representative from 1987 until he was appointed as the Texas Secretary of State in 2001. During his 14 years as Laredo’s State Representative, Congressman Cuellar served in influential leadership positions in the preeminent House Appropriations, Higher Education, and Calendar Committees. In 2005, Congressman Cuellar became the first Laredoan in over 20 years elected to represent the 28th District of Texas in the U.S. House of Representatives. In the 114th Congress, he currently serves on the influential House Appropriations Committee making him the only Texas Democrat to serve on the committee. 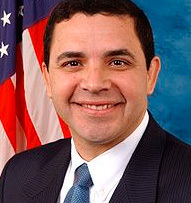 As Chairman and founder of the bi-partisan House Pro-Trade Caucus, Congressman Cuellar is widely regarded as a national trade expert in Washington D.C. Across Texas, businesses and communities alike applaud his support for the Central American Free Trade Agreement and the North American Free Trade Agreement. Serves California’s 39th Congressional District, which encompasses parts of Orange, Los Angeles, and San Bernardino Counties. Royce’s priorities in Congress are: addressing our national debt, protecting our homeland, eliminating pork-barrel spending, fighting crime and supporting victims of crime, strengthening education for all students, spurring job creation and strengthening Social Security and Medicare. Royce has a strong history of public service. He authored the nation’s first anti-stalker law as a California State Senator and versions of his bill have been adopted in all 50 states. He was also the legislative author and campaign co-chairman of California’s Proposition 115, the Crime Victims/Speedy Trial Initiative, approved by the voters in 1990. In Congress, Royce continues his fight for victims’ rights. Colin Bird, Minister-Counsellor for Trade and Economic Policy, Embassy of Canada to the U.S.
Colin Bird is the Minister-Counsellor for Trade and Economic Policy at the Canadian Embassy in Washington. 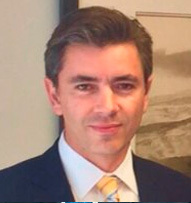 Prior to his current posting, Mr. Bird was a divisional director in the Trade Negotiations Branch of the Department of Foreign Affairs, Trade and Development in Ottawa (North America Bureau). He is a member of the Law Society of Upper Canada and has practiced primarily in the area of international trade. Within government, he has served as counsel to the NAFTA Secretariat and in Canada’s Trade Law Bureau, where he focused on trade remedies, aerospace and softwood lumber trade issues. 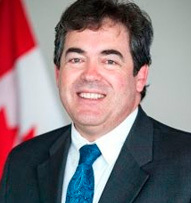 He has represented Canada before dispute settlement panels and the Appellate Body at the World Trade Organization in Geneva. Mr. Bird received his law degree from the University of Ottawa and his bachelor’s degree from Harvard University. 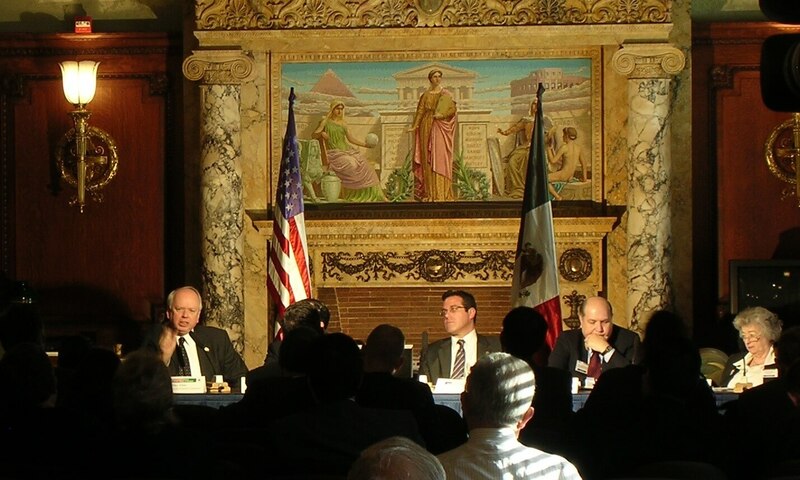 Sergio Garcia Gomez, Head of the Economic Section, Embassy of Mexico to the U.S. 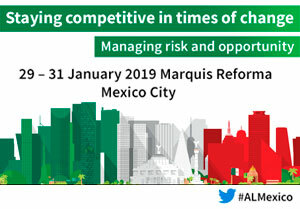 Appointed in March 2014, Garcia Gomez reports directly to the Mexican Ambassador on all areas of the bilateral economic relation and has active consultation with an extensive range of government officials, business executives and diplomats, both in Mexico and the US. 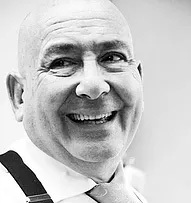 Previously, he served as Vice President for Fleet Planning and Financial Restructuring at Grupo Aerolineas Argentinas (2009-2013) where he participated in the implementation of the new business plan. He was directly responsible for negotiations with IATA, financial institutions, OEMs, MROs and aircraft leasing companies for the airline’s full fleet renovation. On a previous position (2004-2008), he was Vice President of Financial Asset Restructuring for Thesis Consulting. In Argentina, he worked for a leading private energy consulting firm in finance and energy regulation (2001-2004). He also served at the Mexican Ministries of Finance, Energy and Foreign Relations in Mexico, France and the UK (1995-2000). Russ is the Partner in Charge of the U.S. Tax Practice of KPMG LLP in Canada with 36years of experience in US international tax matters. He has previously headed up KPMG Meijburg & Co’s U.S. Tax Center in The Netherlands. Russ has also held various positions in the U.S. firm, including Partner-in-Charge of KPMG’s Pacific Northwest Tax Practice, Managing Partner of the Seattle office, and Partner-in-Charge of the International Corporate Services practice in KPMG’s Northeastern Area. 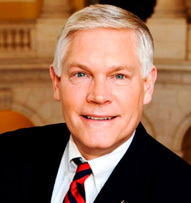 He also spent one year on a rotational assignment in the corporate mergers and acquisition group of KPMG’s Washington National Tax practice, located in Washington D.C.
With a 50-year career at State, USTR, and private sector, Stephen was pivotal to adding bilateral and plurilateral elements to U.S. trade policy – policy that had almost exclusively been based on the General Agreement on Tariffs and Trade (GATT). 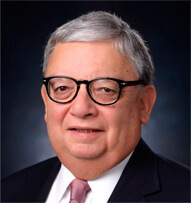 He has been involved in international trade since the 1960s and was initially assigned as a Foreign Service Officer to the Economic Bureau before going to the U.S. Embassies in Athens and Luxembourg. 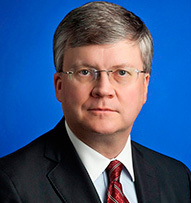 He had a 12-yearcareer at USTR as a Senior Trade negotiator and the first of a long-line of Assistant USTRs. He negotiated agreements in Asia, Middle East and the Caribbean.Fondly referred to as ‘Father’ of both the Generalized System of Preferences and the Caribbean Basin Initiative, Stephen was an early force in creating the North American Free Trade Area and works with African governments, RECs and the U.S. to promote enhanced trade and investment initiatives and is applauded for FTAs with Israel, Mexico, Canada and the Dominican Republic. Alongside Manchester Trade, he also serves as adjunct professor of international trade at the School of Advanced International Studies, Johns Hopkins University.